So excited to share the finished product of my landscaping!!! 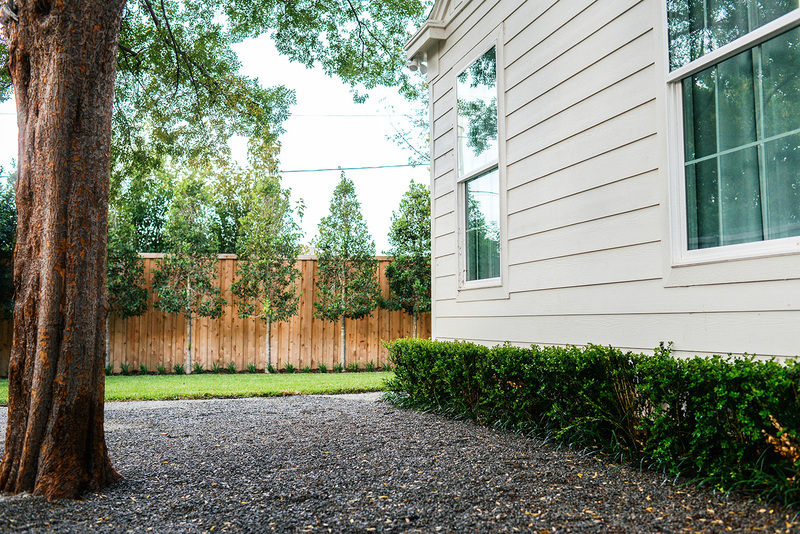 As you’ve heard me mention before, I partnered with Bill Bibb of Archiverde Landscape Architects to design and manage the install of my landscaping at the new house. From day one, Bill was an absolute joy to work with! After completing a little survey and meeting with him in person, he presented me with a fabulous design plan that totally adhered to my vision and aesthetic. 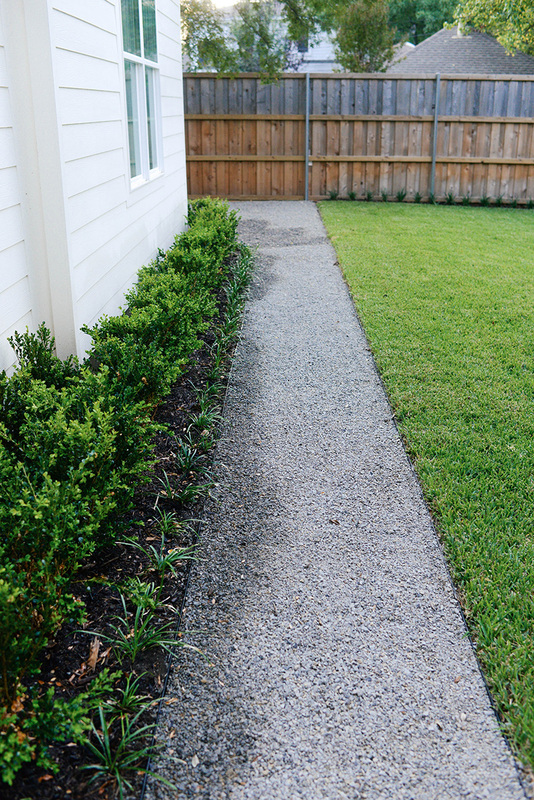 I should mention I did NOT know how much landscaping costs when I first started this venture, and Bill worked tirelessly to secure me the best prices available. He absolutely had my back at every turn! 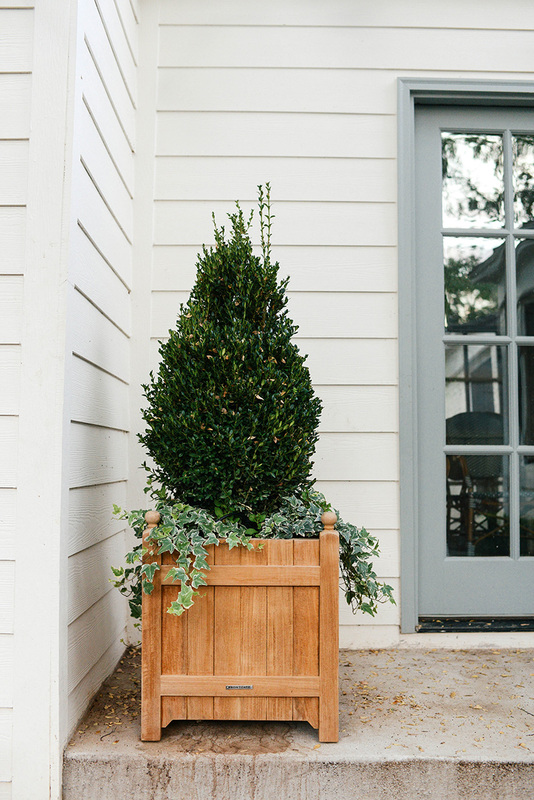 Boxwoods were a common theme around the house, lining the pathways and fences and just giving an overall clean and simple look to the space. 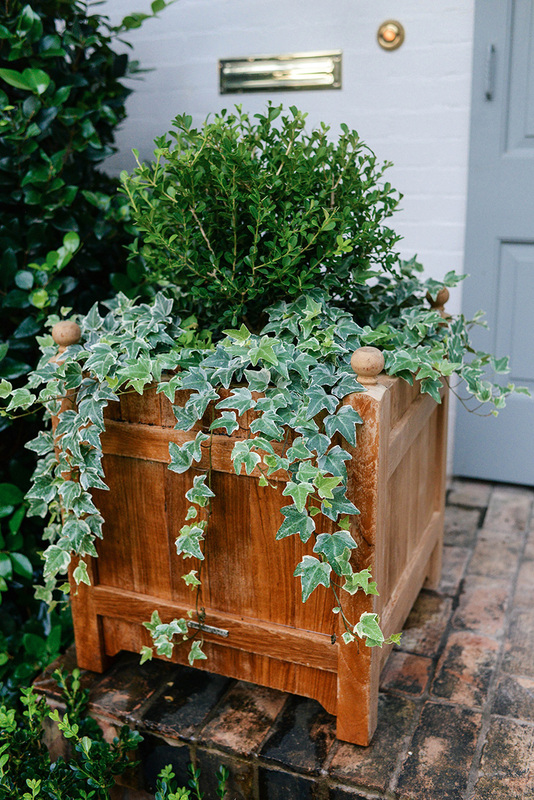 I knew I wanted to use my Frontgate planters on my front porch, so Bill suggested globes and trailing ivy which I LOVE. We didn’t want to compete with the lush wax leaf ligustrums (tall triangle plants on either side of the front door), so a shorter globe was a better option for that spot. 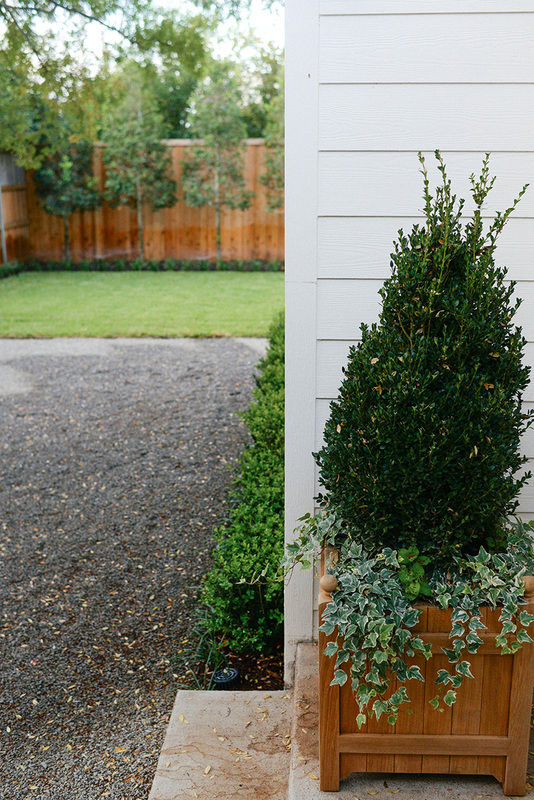 We also had a place for planter to be used in the back too, so we used a cone topiary + ivy to fill up the space vertically there. 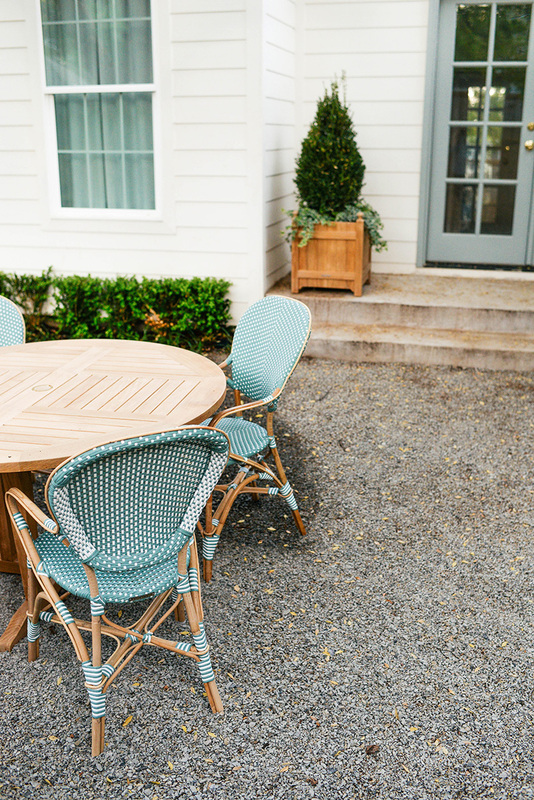 I also absolutely love how the gravel patio turned out in the back, and I can’t wait to fill it up with more furniture, lawn games and maybe even a Chimenea! I also discovered something was being built behind my house and wanted to ensure privacy with some added trees along the back fence. Looking at price, growth rate and aesthetics, Bill suggested we use Savannah Hollies. I love how manicured and uniform they look along the back there, don’t you? They grow super fast, so they’ll provide good privacy in a matter of a few years. The one thing that hasn’t grown in that I can’t wait to see in full effect is my azaleas in the front under the window. They’re just babies now, but hopefully in several months we’ll start to see more coverage! 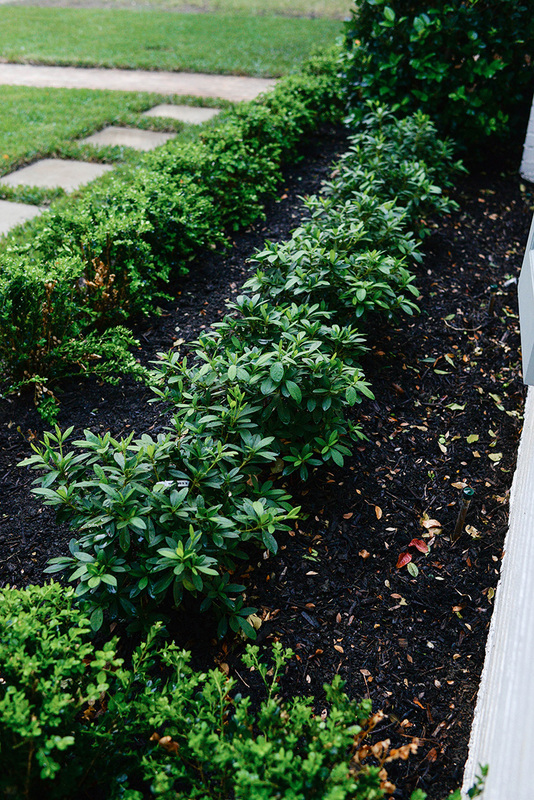 For more information on Archiverde Landscape Architecture and to see photos from other projects they have worked on, check out their website or visit their page on Houzz! I highly recommend them for your next landscape design project in the Dallas/Fort Worth area! A huge thank you to Bill and the Archiverde team for making this happen – my house finally looks like a home (at least on the outside… still need furniture indoors haha). Beautiful! I love the way the hollies look against the fence, particularly the way he limbed them up at the bottom. It all turned out so well! Your home is so cute and charming. The landscaping is just lovely. 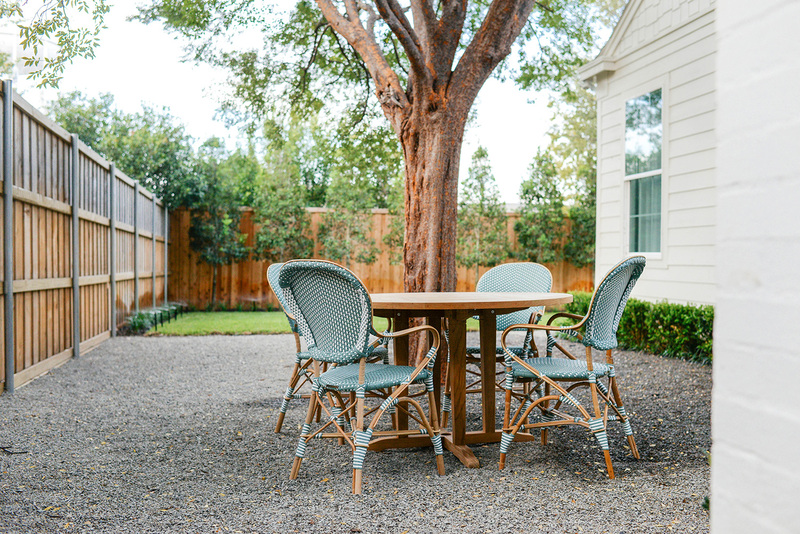 Looks like a perfect backyard for a dinner party! Your house is too cute! I love how elegant and subtle the landscaping is. 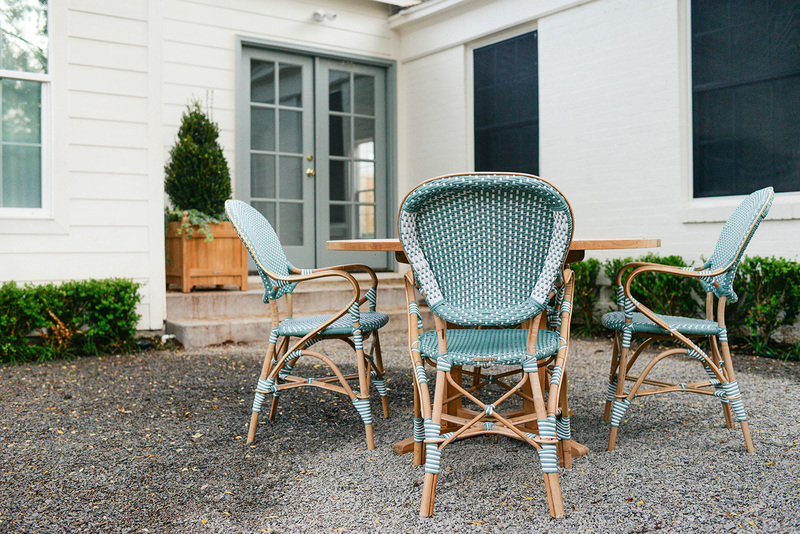 And those chairs are perfect! 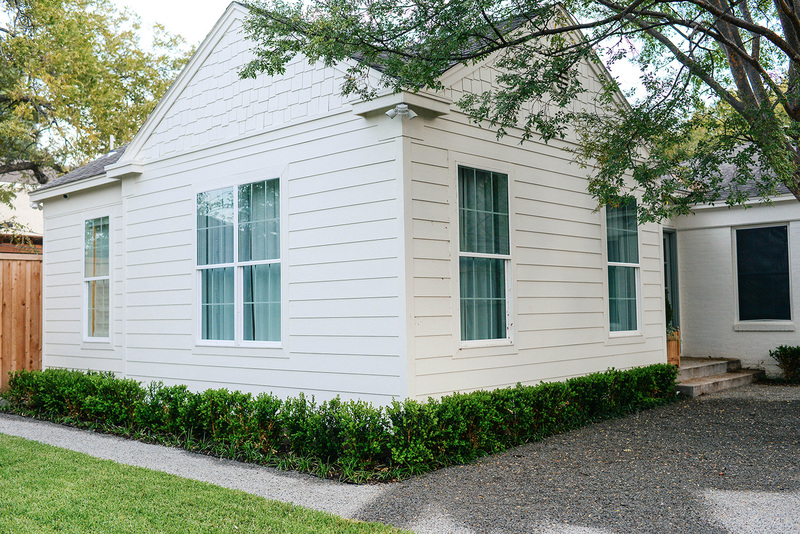 I have loved following along on your house reno! The landscaping is just beautiful! Any chance you know the paint colors your home? Trim as well? Yes! 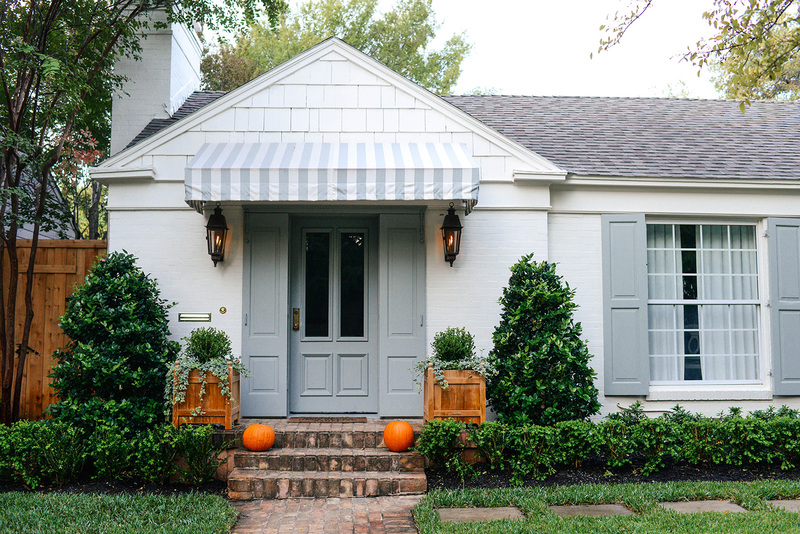 The brick is Sherwin Williams in Creamy, the trim is Woodlawn Blue by Behr. This is so charming and lovely! Love the backyard. I can envision you having dinner parties out there. Love it! 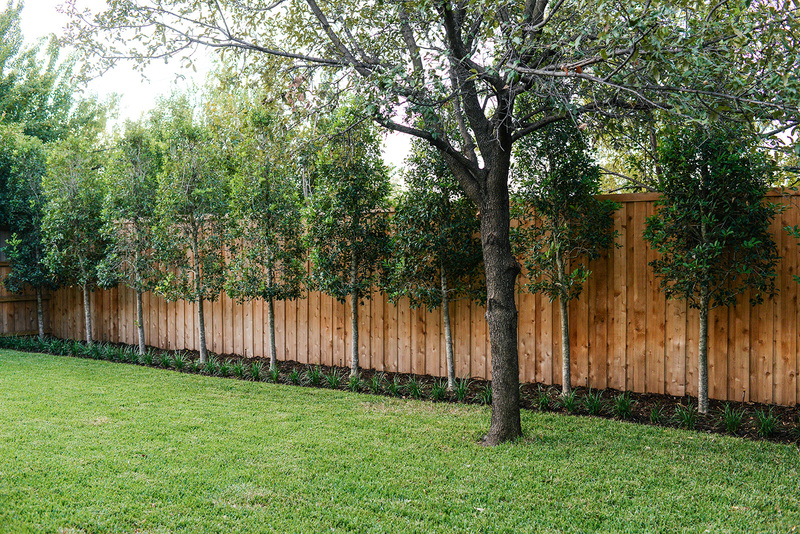 What kind of trees are planted along the back fence?